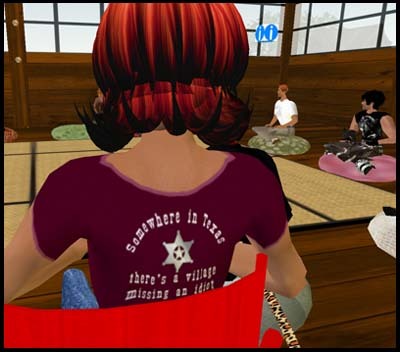 Aki Clutterbuck, mug in hand, leading the Making SL work for the Real World discussion. At 3:30 today, I’ll be in a meeting. If I weren’t, I have no doubt where I’d be. 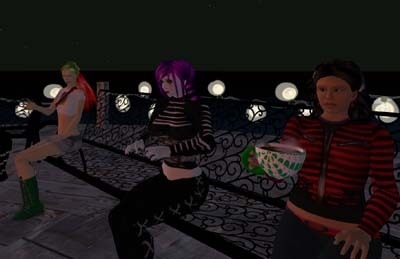 I’d be at Extropia DaSilva’s event: Thinkers Discussion: Are Avatars Mind Children? at the Nirvana Path Temple.